There are skeletons in every closet. Some stay quiet—and some rule your soul with an iron fist. Ezra is ruled by the ghosts of his past—and needled by the guilt they create. Not only does he have to manage his own guilt—his friends are forced to bear the weight as well. He lives in limbo, never dreaming of anything that lies beyond the grave. In his mind, he’s a murderer, pure and simple. Hide and seek is Aysa’s game. She begs for small spaces and empty places. But, she secretly desires so much more. When they find each other, a hope for something new is sprung. But Ezra’s skeletons are out for blood. “I hide shock well. I’m a pro at hiding. I have no idea that whatever he had to tell me would be so personal—so heartbreaking. But, I quickly remembered that heartbreak was all around him every time he turned around. He needs no more empathy or sympathy in his life. He craves someone to give him a different take on a tired situation. And different is practically my middle name. This book completely captured me from the moment I started reading. I am sure that you all know by now how much I love Lila Felix’s writing. She has a way of creating theses damaged and broken characters and you find yourself completely wrapped up in their world. Feeling their pain and and heath right along with them. 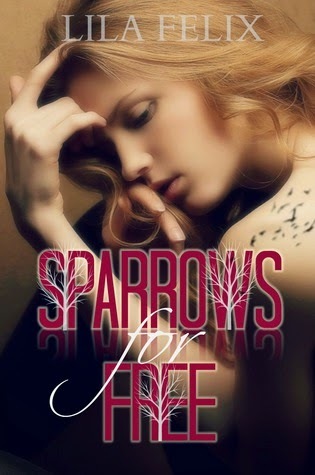 Sparrows for Free was a beautiful, yet heart wrenching story of two damaged people just living their lives day by day. Their world slowly starts to change, and they become more alive when they find each other. Ezra is still haunted by his past, from that one tragic night that changed everything for him. He has yet to let go of it all, still carrying around the guilt of what happened. He has just been working and living, not really caring about much. He doesn’t believe that he deserves any happiness at all. He is best friends with Gray, who has been by his side since the accident. She is in just as much pain as he is. But they both seem to be in their own world, mourning and dealing with the pain that it is hard for anyone else to be a part of their world. They have a great group of friends and Ezra has an amazing brother who loves him, but it's as if their life revolves around Ezra and his mood. It is all about him and how he cannot let go of the past. He needs to move on, he needs to have a life again. But when someone has that much guilt for something that they feel was their fault, it is hard to let go. When he meets Aysa, things start to change for him. Aysa has her own heartache. For most of her life she has been invisible to the people around her, including her own family. My heart broke for the way her own mother treated her. She was such a wonderful person who was so full of love. When things got too tough to handle she would hide, and I mean literally hide in her secret spot. She needed to block everyone and everything out. Then she meets Ezra and her life starts to have some meaning. He introduces her to his friends and for the first time in her life she has friends who treat her they way she should be treated. She has people who actually care. Ezra and Aysa slowly begin to get to know each other. 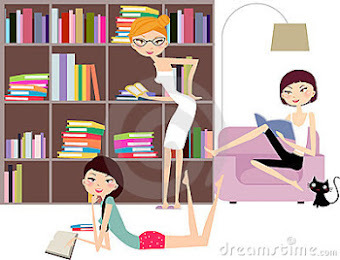 She becomes a part of his life and his group of friends. But sometimes things aren’t always as they appear. There is someone that is not so fond of the close relationship that she has formed with Ezra and will do what it takes to sabotage it. The have finally begun to find some happiness, will someone else get in the way? I loved these two characters. Aysa is a strong heroine despite the way she has been treated for most of her life. She is one of those characters that I can personally relate to in so many ways. They are both so broken and damaged that you want to jmp in and hug them. I hated the way her mother treated her and felt so sad for her. Ezra was hurting so badly and carried so much guilt for something that was not his fault. Ezra continued to beat himself up over something that happened over 4 years ago. He didn’t think he deserved to be loved. But deep down you see how much love he has and what a great person he is. He wants to be a better person and wants to live and feel again. He wants to be happy. And you want him to find his happiness. This is told in alternating point of views which I love. And Lila even gives us a bonus chapter in another POV which I also loved but it also caused knots in my stomach at the same time. This is an amazing story and I think it had a little more angst and drama which I loved. It certainly had it’s sad moments but there are moments that will also make you smile. And yes my heartbeat raced a few times as well. Another amazing job by Lila. I cannot wait for the second book.